Wood preservatives have been widely used to extend the service life of wood. The most objectionable environment for wood is outdoor conditions. In this study, test specimens prepared from chestnut wood (Castanea sativa Mill) were impregnated with natural and chemical impregnation agent. It was aimed to determine the effect of outdoor conditions on physical and mechanical properties of wood material by keeping them under these conditions for one year. As natural impregnation material pine tannin and acorn tannins, as chemical impregnation material imersol aqua and timbercare aqua were used. The retention amount, air-dried density, bending strength, modulus of elasticity, compression strength parallel to fibers, adhesion strength parallel to fibers, screw withdrawal strength were determined. As a result, it can be said that the physical and mechanical test values can compare wood impregnated with natural impregnation materials to wood impregnated with chemical impregnation materials after one year exposed to outdoor conditions. Siró I., Plackett D., “Microfibrillated cellulose and new nanocomposite materials: a review”, Cellulose, 17: 459–94, (2010). Hon D, Shiraishi N., “Wood and cellulosic chemistry”, Markel Dekker Inc., USA. (2001). Komut, O., İmamoğlu, S. and Öztürk, A., “Blue stain degradation on the scots pine log and its effect on the sale prices” Artvin Coruh University Journal of Forestry Faculty, 14 (2): 283-291, (2013). Yasar S.S., Fidan M.S., Yasar M., Atar M. and Alkan E., “Influences of seasonal alterations on the burning characteristics of impregnated and surface treated chestnut (Castanea sativa mill ) wood”, Wood Research, 61(3): (2016). Keskin, H., Atar M. and Togay A., “Impacts of impregnation with Imersol-Aqua on the compression strength of some solid wood materials”, Construction and Building Materials, 22 (7): 1402-1408, (2008). Fidan M.S., Yasar S.S., Yasar M., Atar M. and Alkan, E., “Effect of seasonal changes on the combustion characteristics of impregnated cedar (Cedrus libani A. Rich.) wood”, Construction and Building Materials, 106: 711–720, (2016). Stamm A.S., “Wood and coating”, Wood and Cellulose Science, 120: 45-47, (1978). Komut, O., İmamoğlu, S. and Öztürk, A., “Damages and precautions that can be taken in the sales depots of forest enterprises”, 3rd National Black Sea Forestry Congress, I: 270-278, (2010). Matthias F., Joachim B.H., “Naturally grown round wood – ideas for an engineering design”, Materials And Joints In Timber Structures”, Springer, Netherlands, Dordrecht, 77–88, (2014). Ramagea M.H., Burridgeb H., Busse-Wicherc M., Feredaya G., Reynoldsa T., Shaha D.U., Wud G., Yuc L., Fleminga P., Densley-Tingleye D., Allwoode J., Dupreec P., Lindenb P.F., Scherman O., “The wood from the trees: The use of timber in construction”, Renewable and Sustainable Energy Reviews, 68: 333–359, (2017). Trada Technology, “Specifying timber species in marine and freshwater construction”, Technical report, TRADA, (2011). Callum, A.S.Hill, Wood modification: chemical, thermal and other processes. Chichester: Wiley; 2006. Carvalho, A. J. F., “Starch: major sources, properties and applications as thermoplastic materials”, Monomers, polymers and composites from renewable resources, 321–342, Amsterdam, (2008). Tondi, G., Wieland, S., Wimmer, T., Thevenon, M. F., Pizzi, A. and Petutschnigg, A. “Tannin-boron preservatives for wood buildings: Mechanical and fire properties”, European Journal of Wood and Wood Products, 70(5): 689–696, (2012). Tondi, G., Palanti, S., Wieland, S., Thevenon, M.-F., Petutschnigg, A., & Schnabel, T. Durability of Tannin-Boron-Treated Timber. BioResources, 7(4): (2012). Kureli I., Altinok M. and Percin O., “Experimental investigation of some technological properties of thermo modified and impregnated wood samples”, Wood Research, 58 (3): 369-380, (2013). Percin, O., “Determination of screw withdrawal strength of heat-treated and reinforced laminated veneer lumber”, BioResources, 11(1): 1729-1740, (2016). Percin O., Yasar S.S., Altunok M. and Uzun O., “Determination of Screw Withdrawal Resistance of Some Heat-Treated Wood Species”, Drvna Industrija, 68 (1): 61–68, (2017). Onduran, A., Yasar S.S. and Altunok M., “Investigation of the effects of some modification process to the mechanical performance and deformation of the woodwork”, Wood Research, 62 (3): (2017). Altinok, M., Kucuktuvek, M., Bircan, M. C. and Keskin, H. “Effects of cutting directions on the bonding strength in some wood types”, Construction and Building Materials, 134: 1–6. (2017). Uysal B., Atar, M. and Özçifci A “The Effects of Wood Bleaching Chemicals on the Bending Strength of Wood”, Turkish Journal Of Agriculture And Forestry, 23(6): 615-619. (1999). TS 2472., (1976). In wood, bulk density determination for physical and mechanical xperiments. The Turkish Standards Institute. Ankara. TS 2474., (1976). Determination of the static bending strength in wood. TheTurkishStandards Institute. Ankara. TS 2478., (1976). Wood-determination of modulus of elasticity in static bending. The Turkish Standards Institute. Ankara. TS 2595., (1976). Wood-determination of ultimate stress in compression parallel to grain. The Turkish Standards Institute. Ankara. TS EN 205., (2004). Adhesives-wood adhesives for non-structural applications - determination of tensile shear strength of glued attachments. The Turkish Standards Institute. Ankara. 1-7. TS EN 13446., (2005). Wood-based panels – determination of withdrawal capacity of fasteners. The Turkish Standards Institute. Ankara. ASTM G7-05., (2005). Standard practice for atmospheric environmental exposure testing of nonmetallic materials. ASTM. USA. 2-10. 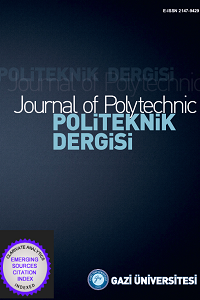 Yasar, M., Fidan M.S., Yasar S.S., Uysal E. R. and Altınok M., “Determination of The Physical And Mechanical Properties of Scotch Pine By Impregnating With Oak Tannin And Timber Care Impregnation Materials, E. J. Engineering Sciences and Technology, 2: 9–18, (2017). Green, D. W., Winandy J. E. and Kretschmann D. E., “Mechanical properties of wood” Agricultural Handbook, No 72, Wood handbook—Wood as an engineering material Chapter 4, 1-45, (1999).